Norway’s justice ministry is moving forward with an attempted crackdown on Norwegian host families who exploit au pairs, mostly young women who come to Norway for what’s supposed to be a cultural exchange. Many wind up as little more than low-paid household help, and the government is also extending more funding to help both them and their hosts. State immigration agency UDI (Utlendings-direktoratet), in charge of monitoring the au pair program, contracted earlier this year with humanitarian organization Caritas Norge to serve as an initial counseling service for au pairs and/or their families. The contract allows Caritas to carry on its assistance after the summer holidays and through the end of this year with an option for extension. A total of 2,214 au pairs were legally registered in Norway at the beginning of this year, according to Caritas, along with several hundred more from EU countries who are not registered. Caritas, which opened its Caritas Au Pair Centers (external link to Caritas’ website) in Oslo, Bergen and Stavanger last August, had already received 950 requests for help by April, indicating the need for a national aid service. The requests range from general questions about the au pair system to what Caritas calls “potential conflict situations” based on disagreements between au pairs and their hosts regarding pay and working conditions. They’re only supposed to offer a maximum of 30 hours per week of household help, such as child minding or meal preparation, in return for room and board, modest pay and exposure to the Norwegian language and culture. “We want to be a low-threshold source of help and work towards looking after the au pair system’s goal of cultural exchange,” said Anne Nogva of Caritas. “We want to hinder misunderstandings and abuse of the system.” She noted that Caritas can provide legal assistance, both through its own staff and cooperation with lawyers to guide and support au pair and host families in complex cases. There have been several such cases in Norway in recent years, along with repeated calls to reform or even scrap the au pair system. One of the biggest cases, involving alleged misuse of two au pairs by a wealthy couple in Oslo, was back in court late last month. 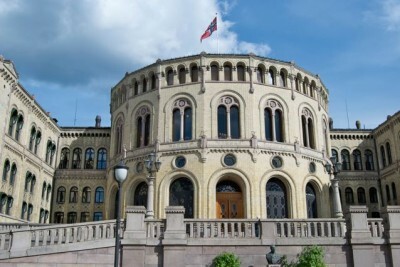 Experts believe only a minority of Norwegian host families treat their au pair badly, and a majority in Parliament agreed last year to maintain Norway’s au pair program, but with changes. The justice ministry now proposes, on demands from Parliament, that families who have abused the system never be allowed to have au pairs again. At present, offending au pair hosts are only temporarily banned from having au pairs in their homes. The proposal for a permanent ban is out for hearing until August 6, and expected to win majority support when Parliament reopens this fall.